Introducing the Champion Power Equipment No.92221 Gas Powered Log Splitter, 22-Ton, one of most powerful log splitters on the market designed to cut through the hardest of woods, fast and easy. And, it doesn’t matter the task at hand, this machine will handle it all, from simple to outdoor composite wood cutting jobs. But, what exactly does this unit bring to the table? Here is the Champion No.92221 comprehensive review. Few machines (at least in its class) can rival the power that this gas log splitter has. It comes with a 22 Ton Performance to provide heavy duty, reliable splitting power. With such kind of power, this unit can split logs with a diameter of up 16 inches and 24 inches in length and with a maximum weight of up to 100 pounds. Besides, it has a fast second cycle time of just 14 seconds. 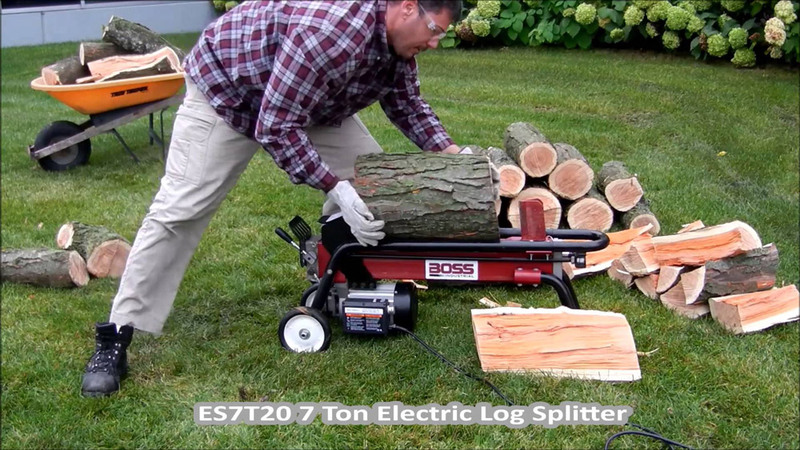 Log splitting can be such a tiring task, and you will want a splitter that offers both convenience and efficiency. The Champion Power Equipment No.92221 Gas Powered Log Splitter, 22-Ton can operate both vertically and horizontally thereby allowing you to use it in different angle as per your convenience. 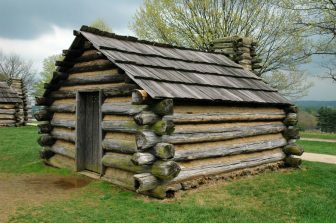 That way, you can split wood for long hours without getting overly tired. 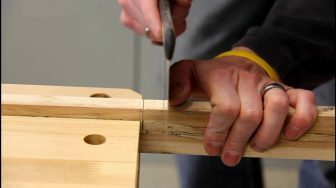 Simply adjust it using a pull pin to match your needs and you’re good to go. 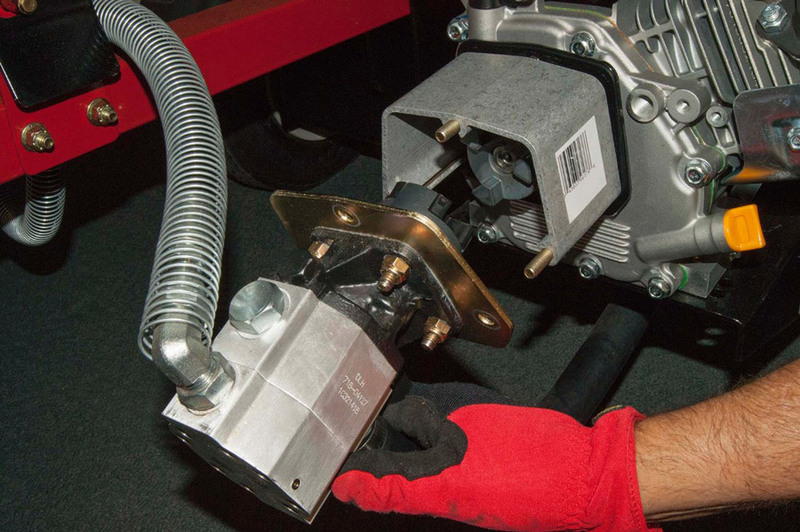 This unit runs on a Champion 196cc OHV Engine with Cast Iron Sleeve to help it maintain its performance throughout the splitting job at hand. The engine can accommodate 1 Gallon of gas and has a low oil shutdown. 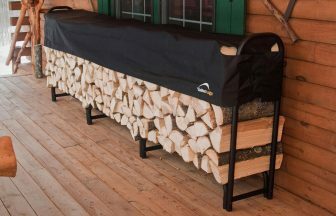 It also features a two pull starting mechanisms for easy starts even during cold winter months. The Champion No.92221 weighs 396 pounds and moving it around can be difficult. However, it comes with 2-inch ball and DOT tires thereby allowing you to tow it around at a maximum speed of 45 mph. If you want to use it away from home, all you have to do is pull it to with truck and take it with you to the splitting area without having to lift all that weight on the truck. 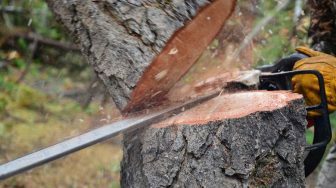 Because of the likelihood of injury that comes with log splitting, the best log splitter should assure safety. 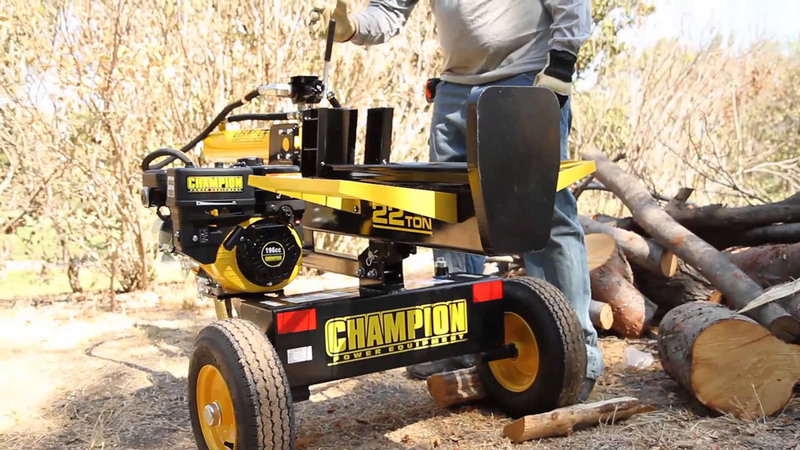 To reduce the danger of sustaining an injury when splitting wood, the Champion Power Equipment No.92221 features a log stripper as well as skewed wedges to ensure that wood splits do not jam the system during the splitting process. It also has two log catchers on either end to keep the split log pieces secure. 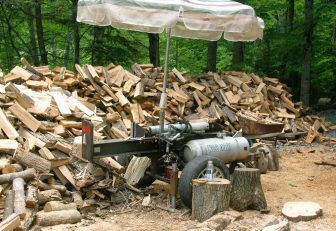 Despite being a gas log splitter, the Champion Power Equipment No.92221 Gas Powered Log Splitter, 22-Ton is Environmental Protection Agency (EPA), and California Air Resources Board (CARB) approved because its emission is low. Not only is this machine safe for you but also for the environment. 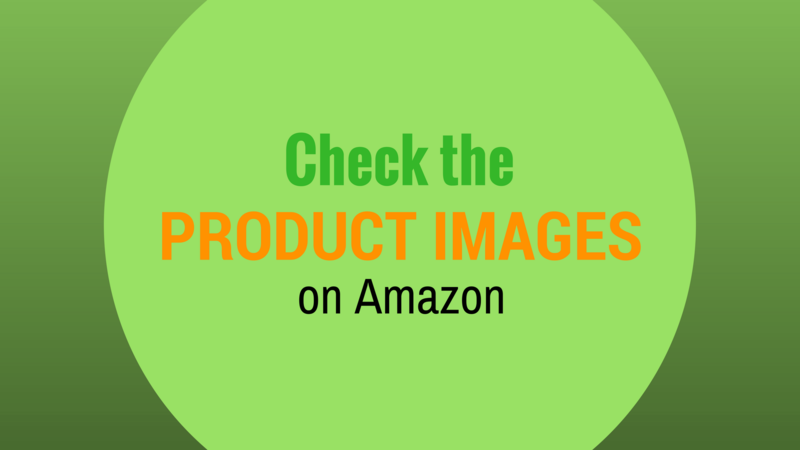 This machine offers a sheer combination of power, agility, and durability. With a reliable 196cc OHV Engine, it can even rival large units such as the Wallenstein Log Splitter. The 2-inch Ball Hitch offers convenience when it comes to moving the log splitter around your workstations. It comes with an auto –shut off feature to reduce the risk of the machine getting damaged when running low oil. For a machine its size, you would expect to have a few hitches here and there when assembling it for the first time. However, that should not be a downside per se because the Champion Power Equipment No.92221 comes with a user manual where you can refer to in case of any problems when assembling it. Besides, once assembled, you don’t have to disassemble unless you’re doing a routine maintenance check-up. The Champion Power Equipment No.92221 Gas Powered Log Splitter, 22-Ton sets the bar when it comes to power and performance. It is the machine to go for if you carry out large splitting tasks occasionally. Its gas consumption is economical not to mention that its build to last. With the Champion in your home, any splitting needs you may have are certainly sorted out!